Legal Note Hotel JM Puerto Rosario Fuerteventura. Legal Note Web Hotel JM Puerto Rosario. Business name: Gestion Rooms S.L.U. Registry data: Registro Mercantil de Arrecife, inscripción 1ª con hoja IL-11473, Tomo 475, Folio 108. Home: Avenida Ruperto González Negrín 9, 35600, Puerto del Rosario, Fuerteventura, España. Phone: +34 928 85 94 64. Gestion Rooms S.L.U. informs users of the Internet pages of Hotel JM Puerto del Rosario of the conditions of access and use thereof. 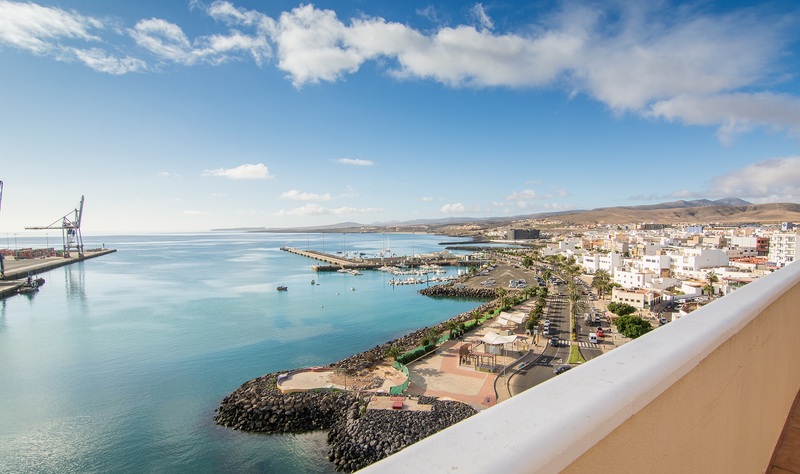 1.- Access and use of the Hotel JM Puerto del Rosario website will be subject to these general conditions. The use in all web pages of Hotel JM Puerto del Rosario implies the full acceptance by the User of all the General Conditions of Use in force at each moment in which the user accesses it. Hotel JM Puerto del Rosario reserves the right to modify these Conditions of Use at any time. 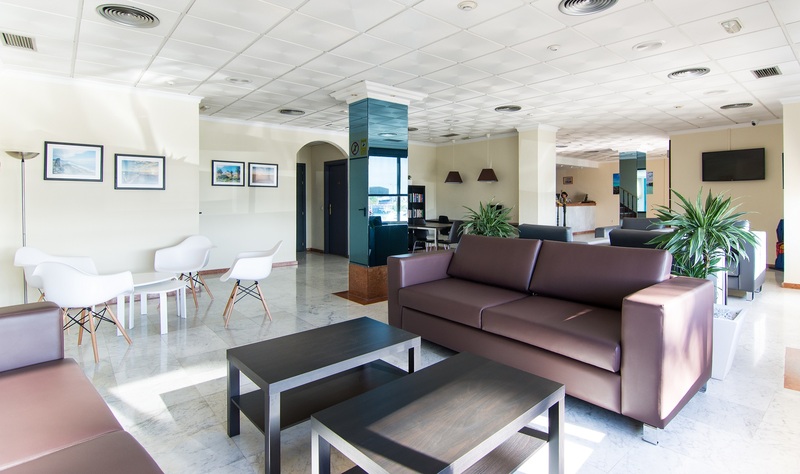 All the contents of the web pages of Hotel JM Puerto del Rosario are subject to the regulations on Intellectual and / or Industrial Property. The rights to the contents correspond to Hotel JM Puerto del Rosario or to third parties where applicable. The user can only view and obtain a private copy of the contents provided that such copy is exclusively for personal and private use, being strictly forbidden its use for commercial purposes. 3.- Users' responsibility for use and contents. The user can not under any circumstances modify or delete the identifying data that exist in his case of the rights of Hotel JM Puerto del Rosario or third parties. The user can only access the contents through the means or procedures that have been made available for this purpose on the website of Hotel JM Puerto del Rosario or are commonly used on the Internet for that purpose, provided they do not imply a violation of rights of Intellectual / Industrial Property or any type of damage to the website of Hotel JM Puerto del Rosario and / or its information or services offered. b) Perform acts contrary to the rights of Intellectual and / or Industrial Property. 4.- Resignations and Limitations of liability. Hotel JM Puerto del Rosario will not be responsible for the information, services and / or products offered and / or provided by third parties, through the website of Hotel JM Puerto del Rosario, or the content provided by third parties. Hotel JM Puerto del Rosario is not responsible for any loss or damage to the software or hardware of the user arising from access to the website of Hotel JM Puerto del Rosario or the use of information or applications contained therein. 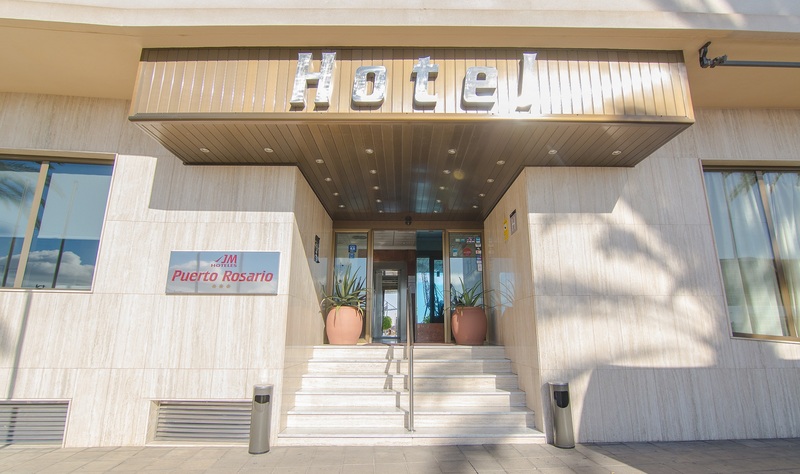 Hotel JM Puerto del Rosario does not guarantee the suitability, reliability, availability, timeliness or accuracy of information or services contained in its website, nor will it be responsible for direct or indirect damages in relation to the use of the contents of its website. Hotel JM Puerto del Rosario does not guarantee that the contents of its page are suitable or available outside of Spain. In the event that all or part of the contents of the website of Hotel JM Puerto del Rosario are considered illegal in countries other than Spain, it is prohibited to access them and their use by users, and in the event that this occurs, will be exclusively under the responsibility of users, being these obliged to comply with national laws of application. The use that may be made of the information and content that appear on the website of Hotel JM Puerto del Rosario and / or access to other websites of third parties through links or "links" that appear on the page of Hotel JM Puerto del Rosario will be carried out under the exclusive responsibility of those who carry out this type of acts, not being Hotel JM Puerto del Rosario responsible in any case for any damages or losses that may arise from such uses or activities. 5.- Hotel JM Puerto del Rosario reserves, without prior notice and at any time, the right to temporarily suspend access to its website and make any changes it deems appropriate to the page, the services or information offered, the presentation or location of the same and the conditions of access and use of the website of Hotel JM Puerto del Rosario. TAll the information received on this website will be considered assigned to Hotel JM Puerto del Rosario free of charge. The electronic mail will not be considered as a valid means for the presentation of claims. To do so, they should contact the Legal Department of Hotel JM Puerto del Rosario, at the address: Avenida Ruperto González Negrín 9, 35600, Puerto del Rosario, Fuerteventura, España, which will indicate in each case the channels to follow. 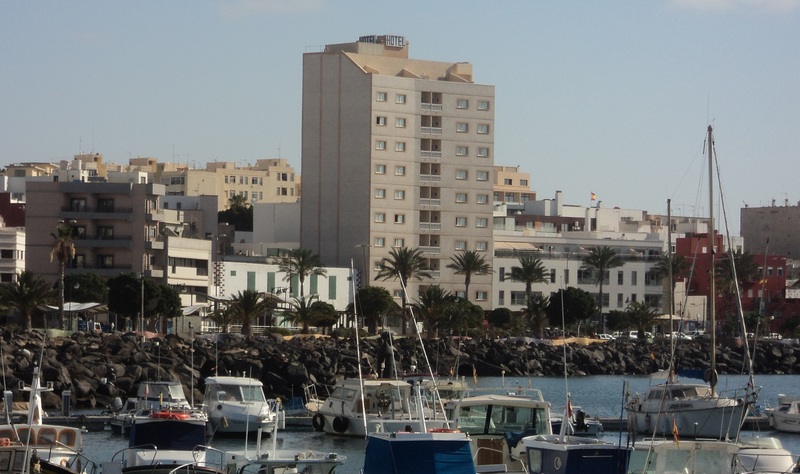 All matters relating to the website of Hotel JM Puerto del Rosario are governed by Spanish law and are subject to the jurisdiction of the Courts and Tribunals of Las Palmas de Gran Canaria, waiving any other jurisdiction that may correspond.